The last few meals I've made have been an excuse to use up as much of the giant batch of black olives that I bought last week as I can. 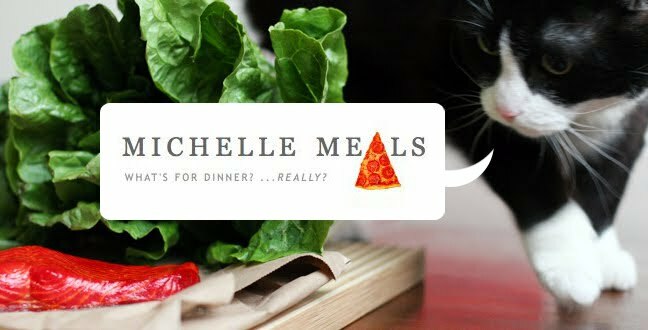 Starting late this afternoon with this pizza on a pita, feat. 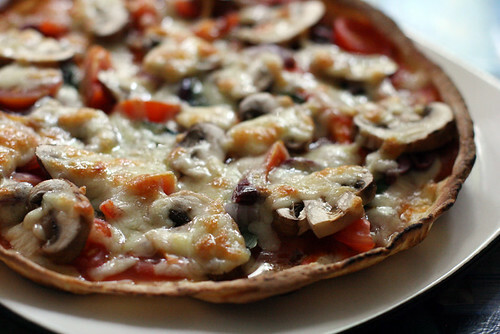 pizza sauce, basil, red onion, tomatoes, mushrooms and Little Qualicum Tipsy Jill cheese. 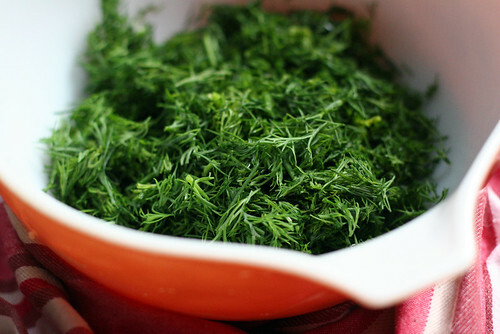 Later I made some pesto using this dill, which both looks and tastes basically like grass. 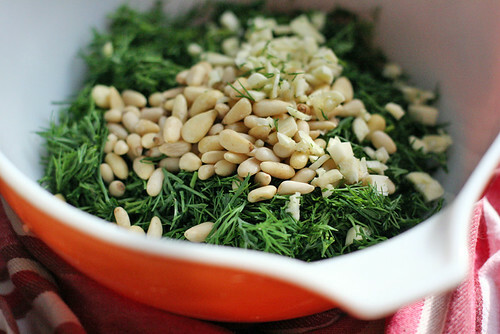 Blend 2 cups chopped fresh dill, 1/2 cup olive oil, 3 Tbsp pine nuts and 2 cloves of garlic until creamy. Add 3/4 cup grated Pecorino Romano (I used Parmigiano Regianno; it sounds close enough) and 2 Tbsp softened butter and process for about 10 seconds. 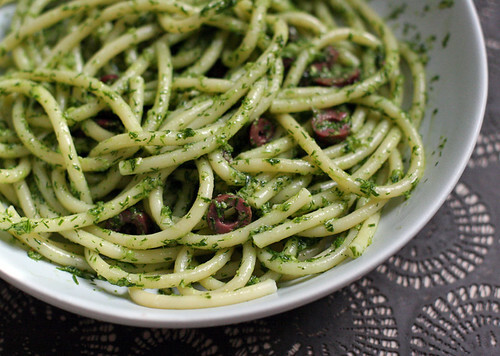 I mixed in some olives and ate it with bucatini (fat, hollow tubes of pasta). It was pretty good as far as pesto goes, though it served as a reminder that I am not a huge fan of pesto. But once in a while you just have to test your likes and dislikes to see if they've changed.